Color-coded maps to show sales status. Show plan, elevation, photos and other details. Zoom and pan, key-word search and more. 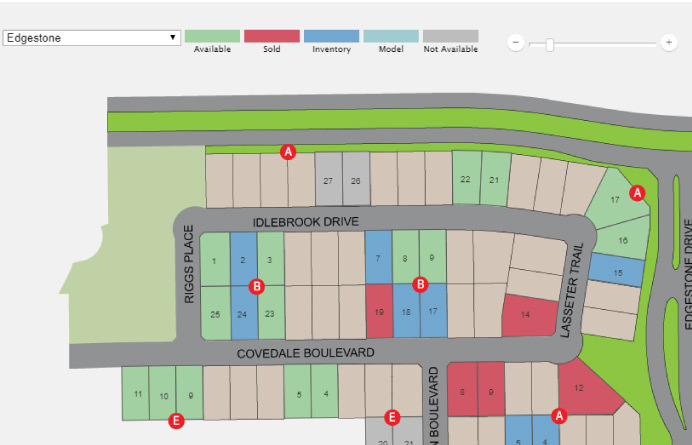 Interactive maps give you a birds-eye view into your community's sales status. 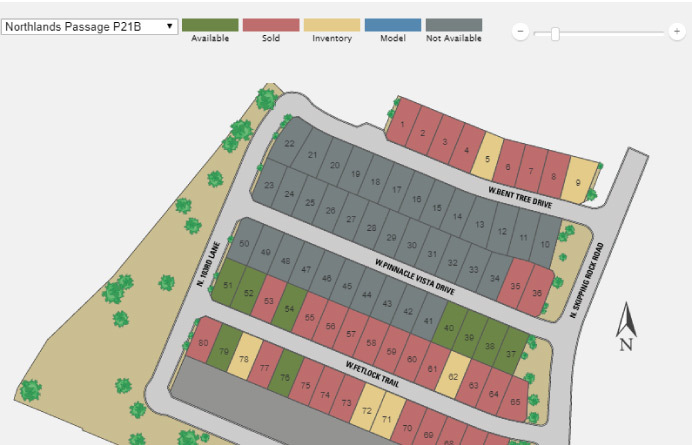 Color lots by their status, plan or elevation. 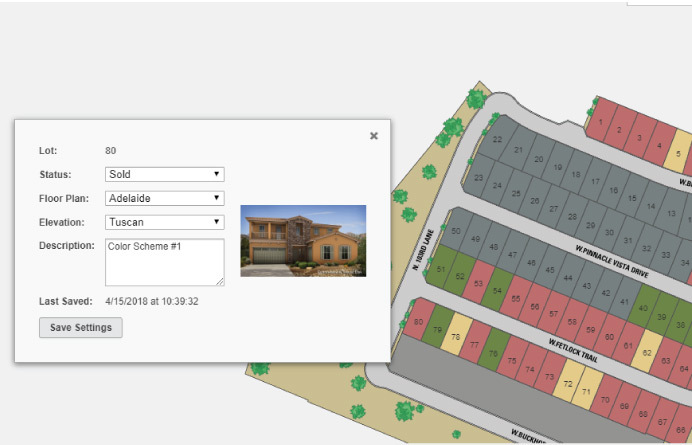 Include images and links in homesite details. All maps are designed to fit your brand standards and marketing needs.